EXTREMELY AERODYNAMIC; Fits like a second skin. INSPIRED BY THE PROS; Same cut as the Maglia Rosa. 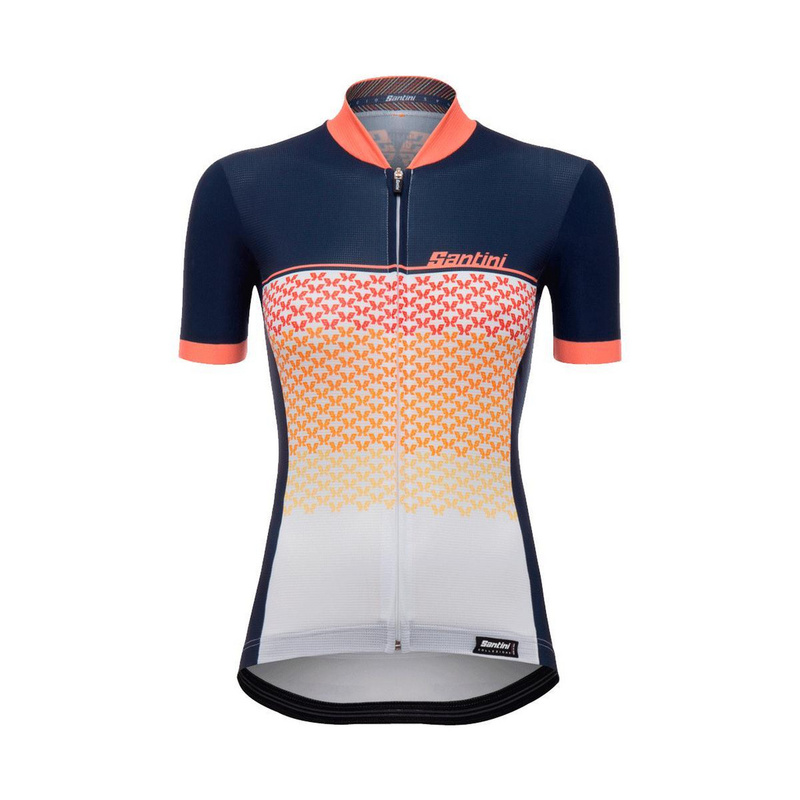 ULTRALIGHT CONSTRUCTION; Complete jersey weighs just 100g. 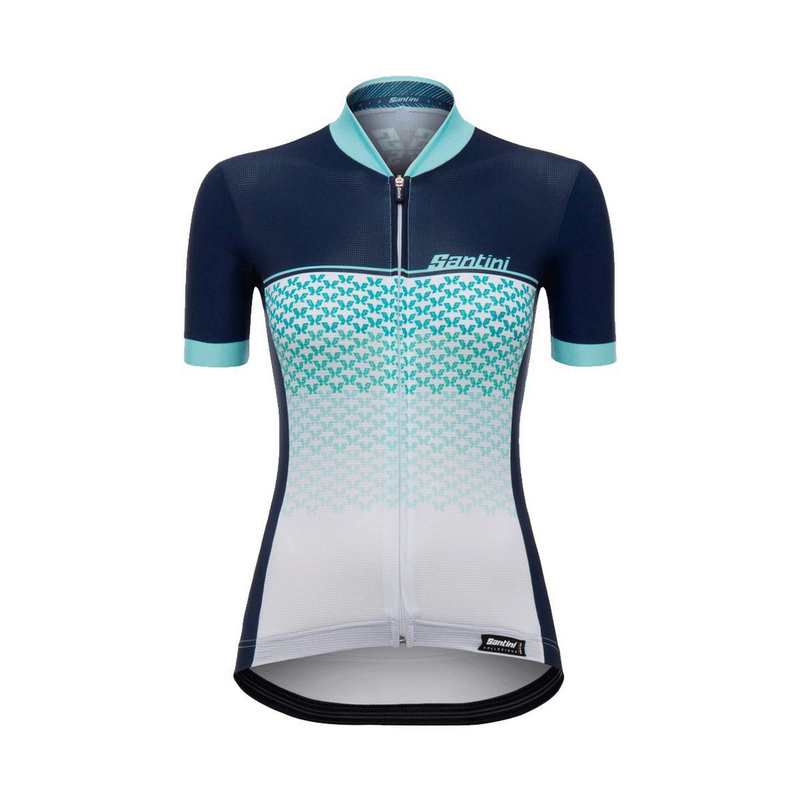 Fit – The extremely aerodynamic Volo jersey sets new standards in aero design for a road jersey. An elastic silicone grip at the bottom maintains the jersey in the correct position. 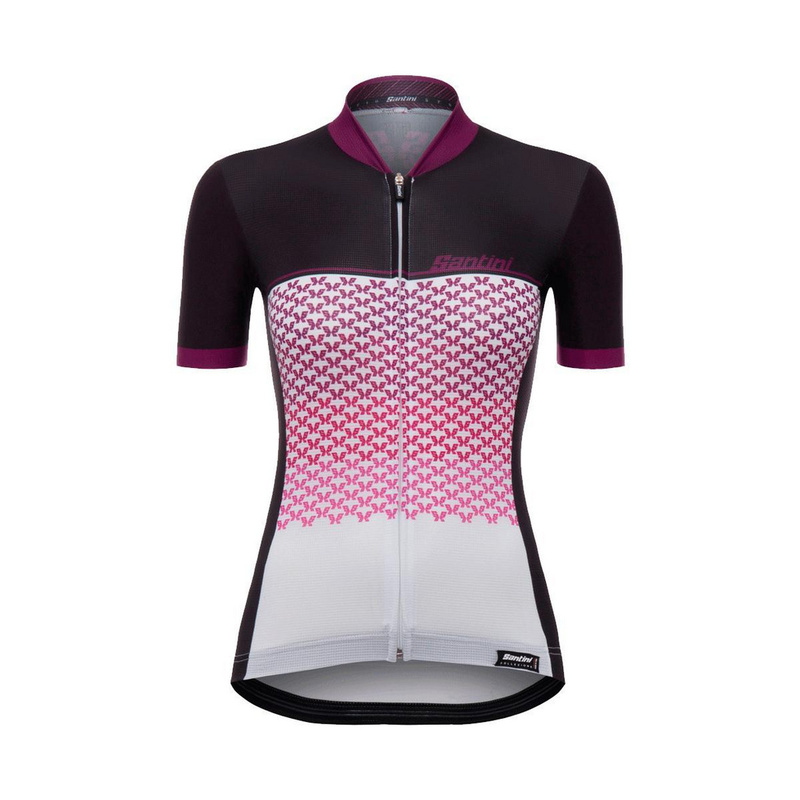 Performance – It’s made with the same cut as the iconic Maglia Rosa, with the front, sides and back pockets made from Rudy fabric, which guarantees extreme breathability. The sleeves and back are in Bodyfit, which is extremely light and strong. The whole jersey weighs just 100g. Comfort – The cut of the collar is inspired by Santini’s aero speedsuit designs similar to the one used by Peter Sagan in his UCI Road World Championship victory for Team Slovakia. Long 75 cm zip. The petal form alleviates any discomfort that may be caused by the zipper coming into contact with the neck. Durability – 100% ‘Made in Italy’ garment using only the highest quality Italian fabrics. 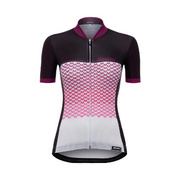 Each garment undergoes vigorous quality controls and has the Santini guarantee.